You may not care all that much about Tweets, Pins, or Likes but, if you have a business and you have a website, it’s crucial that you also have a #socialmediapresence. There are a great many benefits to being in the Twitter, Facebook, LinkedIn, and Pinterest pool. And as annoying and complicated as these interfaces may seem, they’re a necessary evil in today’s wired marketplace because, yes folks, social media impacts search engine rankings. Hashtags in particular have their own level of influence. Hashtag engine optimization is the new strategy in website optimization, allowing you to promote your business through social media and boost your social media exposure. While the hashtag trend seems to have originated with Twitter, it’s now meandered over to Instagram, Facebook, Pinterest, Tumblr, and just about every popular social media platform to help people reinforce their point. Hashtags are used to identify and categorize content. 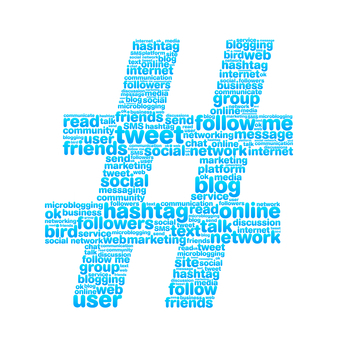 Hashtags allow you to convey a big message in just a few words crammed together. The information can be simple and generic (#hairtrends) or specific (#MondayNightFootball). You can jump on the hashtags created by other users in order to have your social media results show up in a broad search. Where to find popular hashtags? A quick look at Twitter will show you what’s trending from hour to hour and day to day. Then it’s simply a matter of creating the relevant, useful content to accompany the hashtag. Likewise, you can create unique hashtags and use them repeatedly to start a trend, maximize keywords, and develop your own branded hashtag marketing. For example, create a dedicated hashtag to accompany the marketing that you do every time you have a new blog post to publicize (e.g., #NewPistonblogPost). Using hashtags correctly will enhance your search engine optimization efforts, giving your brand greater visibility in search engine returns and on social media searches which, let’s face it, is where a lot of people seek and find information these days. #KeepIt Simple. Creativity wins points, but the best hashtags make use of your established keywords. Think about what your customers/fans/clients type into search engines when they’re searching for a product or service your company provides. Hashtag accordingly. #AvoidAbbreviations: In some cases, abbreviations are standard, like #SEO or #BB16 (Big Brother 16, for the non-fans). If you’re seeking new fans, however, abbreviations may frustrate people who feel like you’re talking down to them or assuming they understand your brand. Be straightforward without being pedantic or confusing. Social media actions – follows, shares, likes, etc. – are counted as backlinks which contribute to search engine rankings. And hashtags used effectively will help you get wider exposure on social media platforms while, ideally, bringing in traffic to your indicated landing pages. Like every other marketing technique out there, hashtag wisely and think about what will be helpful and interesting to your target audience, and what might turn them off.